This is a chapter written and published as part of a book called Sacred Healing by Lisa Guyman. This is the chapter in it’s entirety. Take a breath. Notice how your breath flows. Allow it to come in and allow it to exit without any effort. Repeat. Yes, meditation starts with attention to the moment and it can be as simple and as easy as just observing your breath. I slip into the moment so easily when I’m by the ocean. To me there is nothing more naturally meditative than listening to the ocean waves and feeling the ocean breeze. Waves go up and down endlessly, creating a soothing rhythm. Time stretches out into infinity and yet it stands still. The ocean reminds us to just be, to relax. It is in no hurry. It just is. And if we are allowed to truly be, we heal and we shine. We’re expansive and limitless. But, since we all can’t live by the shore, we have to bring the shore, the deeper rhythm of consciousness to us. Meditation allows us to transcend into the ocean of our consciousness, beyond our regular thoughts and feelings and into our deep inner quiet. With meditation we switch on the light instead of analyzing the darkness. Meditation is one of the most powerful things we can do for our lives and it’s not difficult to practice. In fact, it is very, very easy. Our bodies actually have a built in self-healing mechanism that operates at its peak when we are at rest. While sleep rejuvenates us and restores us to some degree, meditation creates a unique state of profound rest, far deeper than sleep, giving our bodies the ability to heal and re-balance at the deepest level possible. When our bodies and minds are given the right conditions, the body receives healing at a fundamental level and therefore its effects show up everywhere in our lives. Meditation goes to the source and works at a causal level. This is why meditation can actually reverse the aging process. Meditation produces benefits that far exceed the time investment. Maharishi Mahesh Yogi, the founder of Transcendental Meditation™ says, “water the root and enjoy the fruit.” Why spend time treating or tending to the individual leaves or branches when what the tree needs is water and nutrients? A meditative state seems difficult to achieve, but meditation is actually not hard, contrary to popular belief, and it doesn’t require years of practice or the elimination of thoughts. Meditation is actually so simple that you can master the process in a few days. Research has even shown that individuals attending a weekend workshop on Transcendental Meditation™ exhibited a physiological state similar to Zen monks and Yoga Masters who had fifteen to twenty years of meditation experience. There are many effective forms of meditation. There is guided meditation, walking meditation, Buddhist meditation, etc., any of which can take us on a path to deeper states of consciousness. But since my personal journey started with Transcendental Meditation™ and since TM is the most widely documented form of meditation (over 600 published studies on the state it elicits and on the benefits of meditation), it only makes sense to use TM as the jumping off point. We can also get into a meditative “zone” through art, yoga, journaling, Reiki, touch healing, acupuncture, being by the ocean, and so on. In fact, anything that allows us to be in the moment and relax deeply both transforms and soothes us, but as I refer to meditation throughout these pages, I am referring to TM. Commonly held myths stop people from investigating meditation and its benefits. If you have any of the following beliefs, I can see why you might not consider meditation as a practice: “Meditation is hard. It takes concentration. My mind is too busy. I can’t meditate. I don’t have time to meditate. I might feel peaceful during the time I practice it, but it won’t affect the quality of my life. I am already happy, healthy, and pretty calm so I don’t need it. It is strictly a spiritual practice so it wouldn’t fit with my beliefs. It is just for people who are stressed.” What if you found out that meditation: • is easy and natural • lets you do less and accomplish more • will make you happier, wiser, sharper, younger, and healthier • surpasses anything that you presently do • doesn’t require that you believe in it (or anything for that matter) to get results. In actuality, meditation is not hard. I have to emphasize this because the belief that it is difficult is the stumbling block for many. Meditation is easy and it can be practiced anywhere, without any special postures. It is practiced by people from all walks of life, from artists to executives, from nuns to atheists, from school children to prisoners. One of the remarkable things about meditation is that people don’t have to have any spiritual beliefs to practice it. People can practice the technique and get results even if they are complete skeptics and don’t buy into the concept of meditation. Meditation has been an inner refuge for me since I learned to meditate at the age of 16. And if a teenager can learn to meditate, anyone can. I was laying out by the pool on a rare sunny day in suburban Detroit when a friend and I decided “we should learn to meditate.” The Yellow Pages directed us to Transcendental Meditation™ and off we went. That started my meditation journey 23 years ago. I have had “off” years, but the beauty of meditation is that it is easy to pick up again. I’m meditating again, and it feels like I’m home. I was led back into my meditation practice by a couple of events. On a coaching survey, I was asked what message I would want to bring to the world if I had a year left to live, and meditation was my answer. I was very passionate about meditation in high school and college. In those years I inspired numerous people to take up the practice. Meditation lifts the fog out of our way and reveals our light. When our light shines more brightly, we bring more light into our lives and into the world around us. What a powerful method of healing! Another event that returned my focus to meditation was a downshifting of my massage practice. This caused me to do some soul searching and ask what I’d really like to do on earth if I could do anything. I believe my life purpose is to help people connect to source and to support them in living an inspired, powerful, and authentic life. As a Life Coach, I work on the latter half of that equation, but I realized I wanted to give people something they could use on a daily basis and take with them on their journey of life. I’ve always wanted to teach meditation, but I knew teaching TM wasn’t a fit for me. Then I came across Primordial Sound Meditation, PSM, a technique taught by Deepak Chopra, M.D. and I am on the road to becoming a PSM teacher. I certainly can’t teach meditation if I’m not faithfully practicing it, so this jumpstarted my meditation. I’m thankful that my path has taken me back to my roots. Meditation is different than just relaxing, sitting with eyes shut, or sleeping. Meditation evokes a specific physiological state in which the body is deep at rest and the mind is alert and yet exhibiting traits of relaxation (for example, exhibiting alpha waves). Within three minutes of meditation the body goes into a profound state of rest (far deeper than the deepest point of sleep that occurs after 4-5 hours of sleep as measured by oxygen consumption, carbon dioxide output, and metabolic rate). The meditative state is termed “restful alertness” because the practitioner is deeply relaxed, but still alert. Meditation provides the deepest rest possible, allowing the body to repair the damage of accumulated stress and heal itself at a deep level. What I’m sharing sounds profound—it is—and yet meditations can feel quite ordinary. At times, I feel unsettled in meditation. Sometimes meditations can be quite noisy. Remember that no matter how the meditations might seem on the surface, they are effective at your core. I made a deal with my friend Michele. I would go to her house after the classes and teach her everything I learned. I thought it was a very simple technique. They give you a mantra—a sound—and you repeat it to yourself. The problem of passing meditation on to friends is two-fold: 1) The technique is so simple that everyone complicates it; 2) Everyone gets a mantra specific to them. I made up a mantra for Michele. So I began meditating daily and enjoying the peace it brought me—and Michele got headaches. After a few months of unsuccessful meditations, Michele took an official TM course. She then began to love meditation. You can learn meditation from a friend or a book, but you may want to save yourself the headaches and the frustration by taking a class. On your own you might complicate things too much and therefore get frustrated and quit, assuming that you’re incapable of meditation. There have been many meditations in which I feel nothing is happening, but in the course of learning TM, I learned not to judge or evaluate my meditations. Meditation, contrary to popular belief isn’t about emptying the mind or always getting to a state of peace. In meditation our thoughts go up and down and fall away at times, just like waves on the ocean. In meditation, we learn to let go of analyzing, thinking, and planning and learn to just be. But thoughts will still find their way in and that is okay. Amazing things happen when we allow ourselves the space to connect to that stillness and not get agitated by our thoughts or judge the process. With meditation we ultimately connect with the depths of our being, with source, with God, with the universe, with consciousness. In TM they call the field of energy, which connects us all and is within us all, consciousness or the unified field of all the laws of nature. The unified field is what Quantum Physicists speculate is the source of everything, where individuation (and even subatomic particles) ceases and there is pure oneness, pure awareness. When we meditate, we bathe in the divine, in universal energy, and we inevitably bring some of that dynamic peace back with us into our waking state. In our incredibly busy lives, there is so much to do and to get done. The pace is hectic at times and it can be hard to slow down. I went on a vacation recently. I had gone to the ocean with a “to do” list of sorts. I wanted to read, journal, and think about my life and my direction. But all my mind and body wanted to do was relax and be. We all need a “to be” list. Fortunately, I was lulled back into the moment, into being, just by being by the ocean. I sometimes think if I just work hard—super hard—I’ll be done and suddenly a beautiful clear horizon will stretch out in front of me and I’ll be at ease, organic, in my power, and vibrant. But working too hard leads to burnout and even though at some level I want to go non-stop, I stop anyway. I meditate for 20 minutes one to two times a day. I know that with an ongoing meditation practice there is greater light on the horizon, more ease in my being, and greater accomplishments in my life, with less effort and struggle. Meditation may seem unproductive, but it is one of the most productive things we can do on a busy day. One of the meditation gurus says that if you have an especially busy day, then meditate twice as long. I don’t meditate for the pure sake of it; maybe one day I’ll return to that. I meditate for the incredible benefits of meditation and because I believe in it philosophically. I am not a model human being; I don’t do many of the things I ‘should’ do. But I do know that meditation pays ten-fold so I invest my time in it. With meditation, health improves and aging slows down. Meditation also creates a physiological state that supports happiness, synchronicity, and spiritual attainment. I know that I can expand my consciousness and potential at a faster speed with meditation than I can without it. I want to feel alive and creative and yet relaxed and in a place of trust. Meditation supports me in all of this. I’m not naturally inclined to meditate, but I’ve made it a practice. I’ve made a conscious choice to incorporate it into my life. I remember a conversation with a TM teacher about a year after I first learned to meditate. I was complaining to him about it being hard to schedule meditations and he said, “It’s simple Lisa. It is just a decision and you can do it.” For five years I didn’t miss a meditation. For many reasons for the next few years, I moved away from a regular practice of meditation. Now, at 39, I’ve made a decision to fit meditation back into my life. Once you understand what is available to you by regular meditation you won’t want to be without it. There are endless benefits to meditation, some subjective, some objective, and some even supernatural. There are over 600 documented scientific studies* showing the many benefits of TM, including how meditation increases creativity, IQ, academic performance, athletic performance, life span, happiness, productivity, self-esteem, longevity, and selfactualization. Transcendental Meditation™ also decreases the incidence of disease, anxiety, insomnia, drug and alcohol use, asthma, high blood pressure, free radicals, arteriosclerosis, depression, reaction time, recidivism and aging, and much more. Researchers can’t prove that meditation practitioners are connecting to source, to God, during meditation and they can’t prove that meditation brings about more synchronicities. There are some benefits you’ll have to test out on your own. The most intriguing studies have been on the “Maharishi” effect. When we practice meditation, we affect the world around us. We create peace, love, and harmony within our own hearts, and in the quantum fields that connect us all. These waves radiate out, affecting those near and far. There are over 50 documented studies showing that when 1% of a population is practicing TM on an individual basis, or the square root of 1% practices advanced meditation as a group, the quality of life increases. Terrorism, suicide, accidents, illness, and international conflicts decrease substantially. These changes in trend have not been explainable by any other measures. Each of us can make a difference. We can all do something for the world—right from our living room. We can contribute to world peace by bringing ourselves to a space of peace, of stillness. *These studies have been published in over 100 peer-reviewed scientific and scholarly journals, such as The Journal of Creative Behavior, Social Behavior and Personality, Neuroscience, Journal of Biomedicine, Psychosomatic Medicine, Journal of Counseling and Development, Circulation, and Business and Health. As an individual, I’ve meditated on and off for such a long time that it is hard to distinguish what has resulted from meditation or Reiki and what is just part of my nature. I’m generally positive and sometimes idealistic about life. I’m highly intuitive and have experienced clairvoyance at times, as well as precognitive dreams. My life is graced with generosity and with numerous synchronicities. I meet ‘strangers’ that become close friends, or that deliver special messages to me. I feel I have a magical life and my life is blessed with many pleasant surprises and unexpected gifts. I look and feel very young for my age. I’m healthy and medication free, and generally at ease. I do know that when I’m more centered—a definite outcome of meditation—I feel more connected, both within myself and to others. I’m loving, trusting and open, and less serious. I have less of a desire to control others because when I allow myself to be, I allow others to be. I’m more peaceful. I believe in magic and begin to see evidence of an abundant universe. I feel alive, free, and vibrant again. Meditation allows us to drink from the fountain of youth. Meditation helps us re-connect with what was natural to us as children—our ability to be in the moment, our natural expressiveness, our spontaneity, our overriding enthusiasm and joy, our sense of limitless possibility. Meditation also literally turns back the clock of time. We get to connect our power cord to the pure supply source and when we do this on a regular basis, cumulative effects happen, like the reversal of aging. Research on TM has shown that short-term meditators reversed their age by five years, and long-term meditators (meditating twice daily for five years) reversed their age by 12 years. At the age of 40 after five years of meditation, you would have a biological age of 28!This research focused on three markers that deteriorate with time: near-point vision, auditory, and blood pressure. In the composite research of TM, 34 indices have been measured that normally decline with age, but increase in functioning with meditation. I am 39 and I was carded at the liquor store the other day. Yes, I still enjoy a glass of wine or a good cold beer. The man was my age and he looked at my identification and then me and said, “You make me look really old.” We turn back the clock of time with meditation. We also become more efficient with our time. We tap into the fertile ground of all creation and bring that fertility and ease back into our lives and into our actions. Yes, I know we only have so many hours in the day, but when we are more effective, a natural outcome of meditation, we get more done. We do less and accomplish more. But far more exciting than getting more out of our own efforts is having the universe bring needed information, events, and people into our lives at the right moment. Maharishi refers to this grace, these synchronicities, as the “support of nature.” These are nature’s shortcuts, getting us to our goals faster. Nature is intelligent and whenever possible takes the path of least resistance. Meditation aligns us with the universe and when we are aligned, our lives flow. We live in sync instead of in friction. We have organization and symmetry surround us instead of chaos. I want to achieve my dreams with the least struggle and effort. I want to apply myself, and infuse my efforts by channeling the creative energy of the universe. We are meant to continuously learn and grow. We will likely never be ‘there’ or ‘arrive’ because life is about changing and evolving (until we reach enlightenment). The universe will often push us to our next step by offering us a synchronistic event. This event can be a newly opened door or a previously open door that is now closed. Meditation supports us at a fundamental level because it brings us into contact with our being, our higher self, which always knows what we need. When we align with our inner being we naturally bring that alignment into our lives. Of course, we still need to make decisions and take responsibility for our actions. We can’t just meditate and then remain passive about our lives. Meditation infuses our actions with more energy and connects us with the organizational power of the universe. I’ve had many synchronicities in my life. Some have been so distinct or directive or just plain crazy that I know it was the mind of God at work, bringing people, events, messages, etc. into my life. My work is being taken to the next level because of a synchronicity. I have wanted to produce a guided meditation recording for years, but when I did some research on it, was overwhelmed with the details. The project entails producing the content, the voice recording, the music selection and integration, the artwork, the reproduction, the distribution, and the marketing. In April of 2004 I received an email from a New Age producer who was seeking new artists to work with. He handles every detail of the process. We entered into a joint venture and Journey Into Meditation: Guided Meditations for Healing, Insight and Manifesting will be out in 2004. I am stepping out again. I’m being asked to have a leap of faith and go forward on my new dreams, to take risks. I feel like I’m standing over an abyss with one foot forward and one foot back. The ground on the new frontier isn’t firm, it isn’t solidified, but my back foot is slipping and the ground is crumbling. It’s a strange place to be, but I am willing to embrace the new opportunities being presented to me and meditation reinforces everything I’m doing from a philosophical and a practical perspective. Even if we meditate everyday, it doesn’t take all of our struggles away. I have moments of flow, but lots of moments of fear and resistance, too. I’m not in an ever-present state of bliss. I’m up and down, but I realize there are no limits of time and space and possibility. The universe can figure out some of the details, but we’ve got to do our part. My part, I believe, is to re-charge my batteries with meditation, to be open to possibilities, and to take action. Meditation supports us on our life journey and is also a path to higher states of awareness, to enlightenment. But I also know that enlightenment can appear out of nowhere, even by the ‘smell of the exhaust from a bus.’ That doesn’t mean we should be careless about our lives. We can live consciously and choose a higher road. What I began to believe after two years of practicing meditation, was that meditation was a path to developing and expanding consciousness and tapping into my potential. According to some experts, it is said that we only use 5-15% of our potential. Why we use such a limited amount of our capacity is a mystery, but we can utilize more of our potential by meditating. In TM, they teach that higher states of consciousness and enlightenment are a natural progression of regular meditation and that consciousness mirrors physiology. They have found in their “yogic flying” program, where advanced practitioners of meditation do a levitation of sorts, a unique state of maximum EEG coherence takes place indicating an orderly and coherent functioning of the brain. Apparently, our physiology is hard-wired to experience and support higher states of consciousness and to go beyond our present capacities. The effects of meditation build and begin to stick with time. You can’t plant a seed and then keep uncovering the dirt to see how it’s doing. You water it, fertilize it, give it sun, and know it will grow. This is true with meditation and, for that matter, many good habits or actions taken in the direction of our dreams. You must give them time and undoubtedly you’ll experience great benefits. With a solid meditation practice you’ll experience benefits beyond your wildest dreams. You’ll get younger, and wiser. You’ll experience more ease and success in your life and pleasant surprises and synchronicities will be your norm. If you just try it for a few weeks, you’ll likely quit. Give your meditation practice a few months to grow and the harvest will be well worth it. 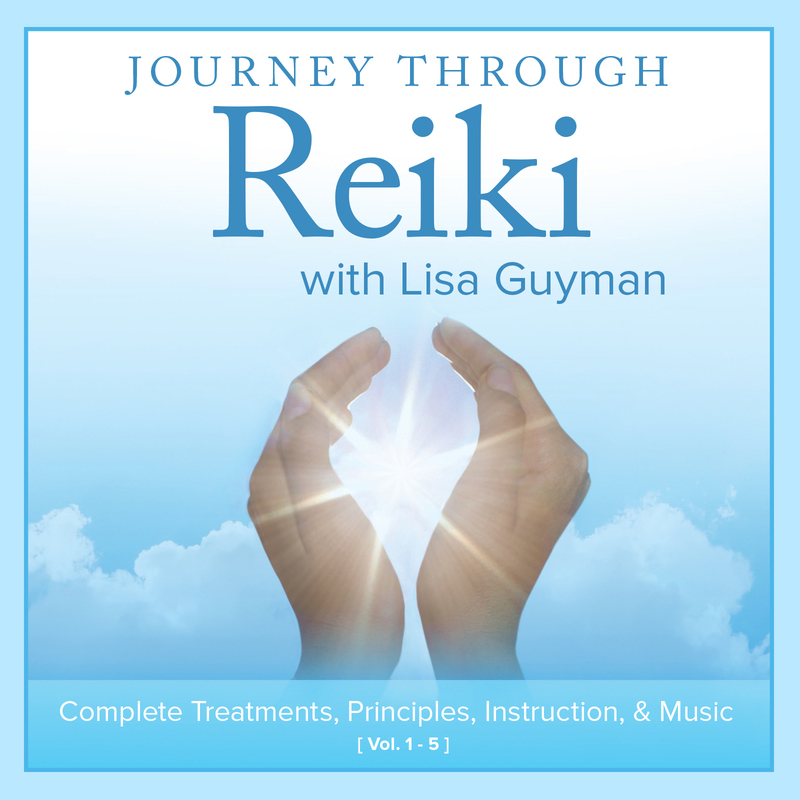 As a Life Coach, Hypnotherapist, Reiki Master, Yoga Nidra Instructor and Primordial Sound Meditation Instructor, Lisa recognizes the tremendous potential in her fellow human beings that is waiting to be released. At a young age Lisa became interested in meditation, healing, and personal growth. She followed this interest and graduated with a Bachelors Degree in Psychology emphasizing Sociology at the University of Michigan in Dearborn. She worked for a wellness company for a short time and then after working for seven years in human resources, she took a leap of faith. She completed massage training, quit her corporate job in Detroit and moved to Denver in 1997 not knowing anyone there or having a job. Shortly after arriving she rented an office space and started her massage and energy healing practice, Inner Sanctum. Several months later she began offering and then teaching Reiki, a Japanese form of energy healing. Through Reiki she has witnessed many profound transformations in her students and clients. She has taught Reiki to over 2000 people and continues to offer Reiki workshops. Lisa’s passion lies in teaching, and also in supporting people in the pursuit of their dreams and goals. In 2002 Lisa completed the Coaching from Spirit program and began her work as a coach and in 2007 became certified as a Hypnotherapist. Since 2004 Lisa has taught over Primordial Sound Meditation to over 200 students and is thrilled to say that those taking Primordial Sound Meditation find that meditation is actually easy and enjoyable and that it makes a huge difference in quality of life. Lisa’s vision is to positively affect as many lives as possible and contribute to world peace. She believes her purpose is to bring more light and love into the world and to support people in realizing their potential and reawakening to all that they are. Her mission is to support people in expanding and deepening their connection to source while empowering them to unfold their dreams and live a fulfilling, purposeful life. She seeks to accomplish her mission by providing sanctuary for people and by communicating spiritual and practical tools and concepts through her workshops, one-on-one sessions, speaking engagements, writing, and guided meditations. 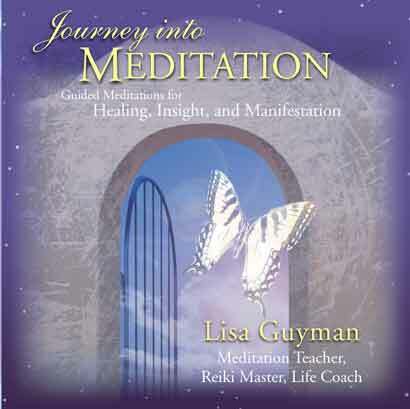 Journey Into Meditation: A Roadmap to Inner Healing and Wholeness © Lisa Guyman, 2004 by Lisa Guyman. To receive a complete copy of this chapter or for publication online or print, please contact Lisa for pricing by email or by phone (720) 683-0444. This is from “Sacred Healing: a Guide to Getting it.” No portions of this article may be reprinted without permission from Lisa Guyman. All rights reserved. You posted a link to this essay on an Amazon Community thread entitled, “Is reading a book the best way to learn to meditate?” Since your post did not address the question (other than to point to your essay, “Journey into Meditation…,” I was reluctant to follow the link and read what you had to say. I am happy to report that my mood quickly turned positive and then joyful as I read your very personal, well-written, and accurate testimonial about the benefits of meditation. Although my writing style is quite different, I found myself appreciating your fluid, first-person approach and thinking of it as very good instruction-by-example. I was blessed to learn TM at UC Santa Barbara when I was 20 and unable to pull anything better than a “C” in classes during my first two years there. The Fall quarter I started TM, I pulled straight “A’s” and had time to build a surfboard from scratch AND feel that life was vastly improved. After two years, I got too busy to meditate. The funny thing was, I continued telling people how great TM was and why they should start! Once I started TM again, my TM Center in Santa Barbara encouraged me to go to TM Teacher Training (6 months of in-residence training). During my Teacher Training Course (TTC), I became moved to pray at the end of my meditations. Two years after being made a TM Teacher (on my 28th birthday), I learned the TM-Siddhis and have practiced TM, the TM-Siddhis, and prayer using the same Samyama technique used in the Siddhis on a regular, daily basis ever since. After reading your essay, I was filled with appreciation for your honesty and clarity in directing your readers toward TM. I write extensively about the mechanics of personal, inter-personal, workplace, community, and global transformation, and… I always direct people toward a form of meditation that has stood the long test of time, and I always give TM my highest recommendation. Based on your essay, the most important point I would emphasis is the importance of meditating twice each day, every day. Maharaishi and every other enlightened spokesperson for a tradition I have read mirrors my own experience that roughly 60% of the benefit of meditation is contained in the last 20% of regular, daily practice. Based on your essay, the second most important point that I would offer is the importance of directing others towards learning a traditional form of meditation in the way it has always been taught. As you make clear, it was not a coincidence that your friend got headaches after you taught her to meditate with a mantra you “made up.” As every enlightened spokesman for a tradition makes clear, “the long test of time is the ONLY way we can know that a meditative technique is BOTH safe and effective. Lisa, I love the story of your finding TM, moving to other practices, then returning to Primordial Sound Meditation. To say I have enjoyed my regular practice of meditation for the last 40 years is putting it mildly. It has simply improved every aspect of my life. Those who happen to learn to meditate in spite of the current lack of publicity for TM, PSM, and NSR are lucky indeed. Much more fun and fulfillment can happen for all of us by being able to spread this wonderful self-development technology–transcending–to everyone in the world. Thank you David for writing. You are doing good work in the world. There are many ways people can learn to meditate and as you say one is not better than the other. The key is supporting people in whatever meditation practice they resonate with and that people realize that they can meditate. Wishing you the best. I’ll post a link to your site. For now I’m keeping my site lean so I’m simplifying the comments area. Thank you Eric for sharing your thoughts on my article and for sharing the tremendous experience over the years you’ve had with your dedicated meditation practice. I’m glad you are investing the time in completing your book, Global Manifesto, in which you share your vision for creating higher consciousness on the planet. The TM organization is doing amazing work in the world. I am grateful for all the research they have done to quantify the benefits of meditation. I find that Primordial Sound Meditation is equally effective, profound, easy to learn, and widely offered by certified Chopra Center instructors.